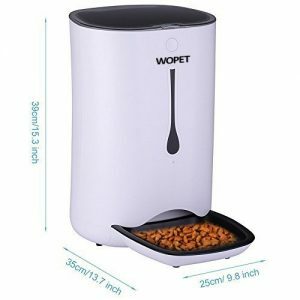 With Wopet 7L automatic feeder you can feed your cat up to 4 times per day with adjustable portions according to your cat’s need. 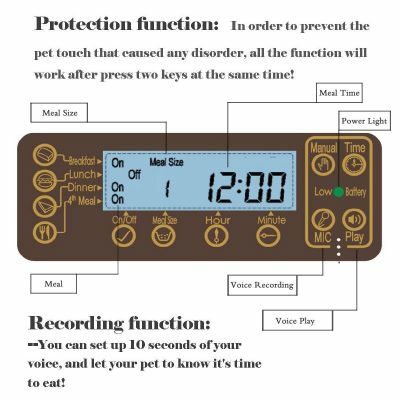 The feeding schedule can also be customized because you decide what time your feline friend will eat. The Wopet 7L has a good capacity and it works with AC adapter and 3 D-size batteries as an optional back up power. 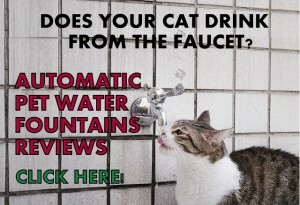 Dispense up to 4 meals per day, anytime within 24 hours. Adjustable portions from a minimum of 2 tsp up to 4.5 cups at a time. Flexible portions from 1-39 to dispense each time. Batteries allow the feeder to keep operating and retain settings in case of power loss. 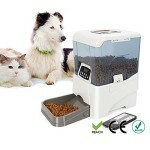 Suitable for dry food with adjustable kibble size from small (0.2”) to large (0.6”) dia. 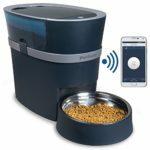 With mic button to record a 3-sec message calling your pet to eat. 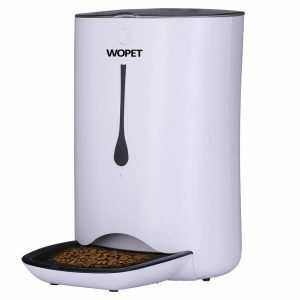 Wopet allows you to customize the portions, the time to be dispensed and the kibble size. It comes with a plate (gear) for small kibble by default and you can change it to the large size kibble with the provided extra gear. 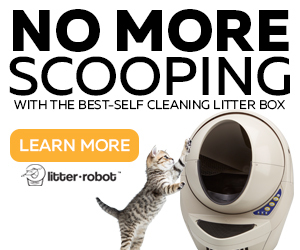 The Wopet doesn’t feature webcam, only a microphone to record your message/alarm for your cat to eat. 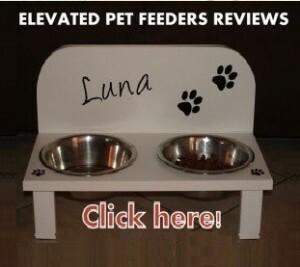 In order to program the feeder you need to determine the meal size first. The meal size can be anywhere between 1-39 servings where 1 serving= 10g approx. One serving equals to one rotation of the food internal gear. 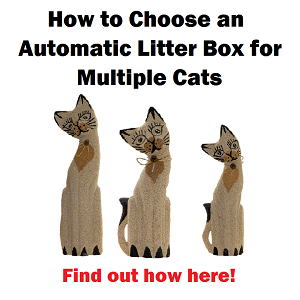 For example, if you want to feed your cat 20g you need to set #2 for that particular meal. If you want to visually determine the portion you need to push the button “Manual” to make the feeder dispense and stop it when you see the amount you want. Then you check the portion # and that is the number you will use to program the meals. Do the same steps for lunch and dinner. 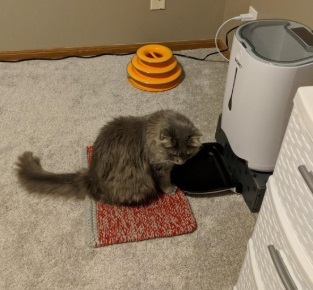 Once you program the feeding schedule it will repeat everyday. In order to keep the settings and the master clock you need to put batteries as backup which also ensures the operation of the unit in case of power outage. The Wopet 7L features a on/off button in case you don’t want the feeder to keep dispensing. You can customize size of meals, number and times. Transparent lid allows you to see at glance how much food is left in the container. 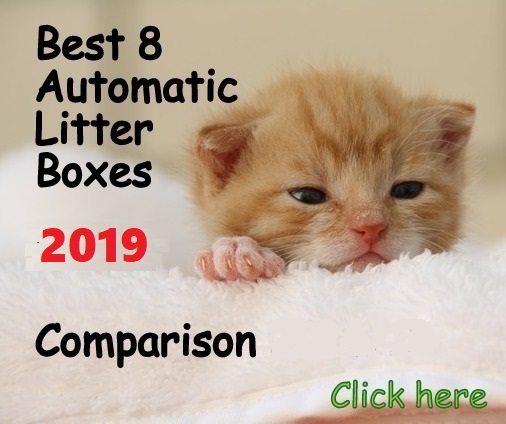 It works with AC adapter and batteries in conjunction to ensure the feeder operating no matter what and to retain the programmed meals. 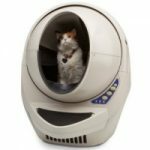 The food gets pushed back towards the chute and it’s hard for the cat to reach it to eat (cats learn quickly to paw the food towards them to keep eating though). Check the below tip to solve this. Voice recording is not loud enough. If you don’t use backup batteries you can lose the programmings in case of power loss. Meal sizes don’t come in grams or ounces on the LCD panel. You need to determine the portion number by testing the food dispensed with each internal rotation and choose the desired portion #. A cat can unplug the unit when walking behind it. With some kibble the accuracy is irregular, sometimes it dispenses a tiny amount or too much. 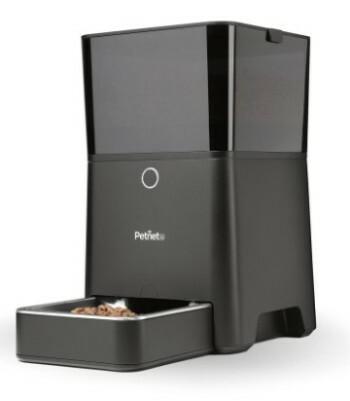 If the food gets pushed towards the chute and your cat can’t eat, you can separate the main unit with the feeding tray. Place the feeder in a higher board and put the tray on the floor. Check a picture of this set up. The Wopet 7L works OK for the price. 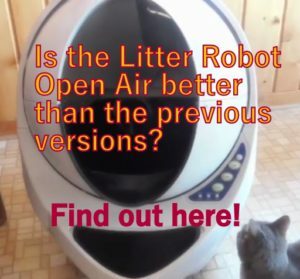 I would not suggest to use this unit outdoors if you have a raccoon around. Some customers complain about inconsistencies with the dispensing portions and also with the durability of the feeder. 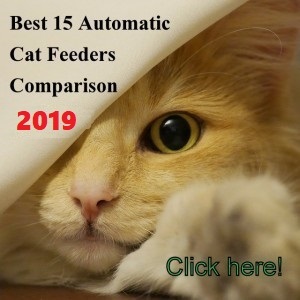 If you need to use this feeder for weekends this is an option to consider, however, for a unit under $90 I suggest the Westlink automatic pet feeder.